Women's Refined Slim Fit Chelsea Boots is rated 4.4 out of 5 by 137. Una versión más elegante de la bota clásica, la Original Refined Chelsea está fabricada artesanalmente con caucho natural e incluye una plantilla acolchada. Impermeable hasta el refuerzo elástico, la bota cuenta con una lengüeta en la parte posterior para que el pie entre con facilidad. Rated 1 out of 5 by Sdapr from Terrible product and terrible customer service I am the type of person to never complain about a product nor a company ever. Yet, me sitting here writing a review (for the first time ever) says something about how much I am appalled with this company. I purchased these a few months ago (maybe about 3-4 months) in the glossy version. I’m going to admit that I do wear them often; they’re almost $200 shoes for heaven’s sake so I’m not going to let them sit in the closet. They claim to be high quality yet it tore in the weirdest spot (on the side of my inner foot above the stitching) and customer service refused to do anything about it apart from offering a 25% discount despite the warranty. They asked for a code located on the inside but obviously with me wearing it, it’s eventually going to wear out causing the code to be less visible!!! Because of that, they don’t want to deal with my case. It’s truly a shame. Never dealing with this company again. Rated 3 out of 5 by Kklemmster from Hard to get on and off I haven’t worn these out in the rain, but I’m sure they do the job. However, they are so difficult to get on and off, so unfortunately I will be returning them. Too bad because the Oxblood color is great! Rated 5 out of 5 by Angie from In love I bought them a month ago and I have received a dozen compliments! Very comfortable and perfect size. Exactly what I was looking for. Rated 5 out of 5 by Livvvvv from The best all around! I bought this a could weeks ago and I’m absolutely in love! I love how the feel on my feet (they are a bit snug for anyone who doesn’t like she’s that are tight!) and how they look! Rated 5 out of 5 by lsc15 from Great Shoes! I purchased these for myself. 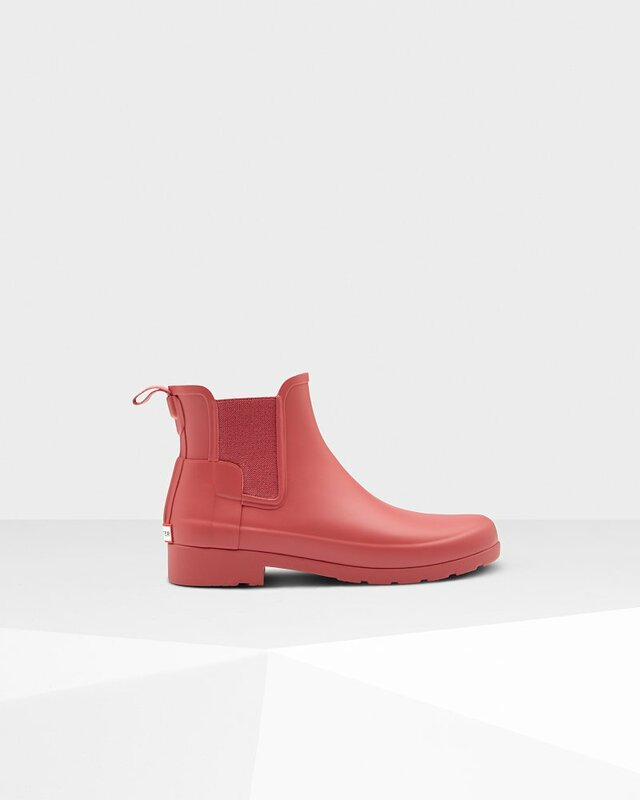 i love that i can wear them as a rain boot, or just a shoe in general. comfortable and stylish! Rated 5 out of 5 by Yami from BUY THEM !! Love love love them ! They go with anything !!!! !